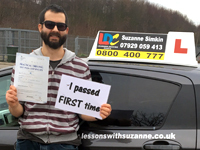 I was delighted that I was able to pass my test first time. 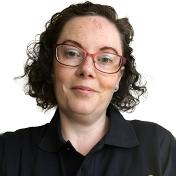 Before we even began, Suzanne outlined the pros and cons of the One Week Pass Course compared to the other choices available. Due to my own circumstances, I really had no choice but to select this course, however, the fact that Suzanne broke down the courses gave me more belief that she was invested in myself as a learner and not just another means of making money, which I have had previous history of with other companies. LDC have a really good learning programme focused on module-based learning rather than a checklist of driving elements. In my case, due to my endless questioning of my abilities, it was reassuring that Suzanne allowed me the freedom to revisit and refine areas I felt I was lacking in, although she did help to push me on when I was ready for the next steps. As a student who had previously done hourly sessions versus a combination of 2-, 3- or 4-hour blocks that I did this time around, I can see the benefits and hindrances of both timetables. Shorter hours places less stress on the learner, however, the longer blocks allow yourself to retain more of the techniques and become more familiar with the car. Personally, I was a nervous wreck and if it wasn't for Suzanne's calming and positive nature I don't think I would have passed. Suzanne was an absolute pleasure to learn from. Her qualities as a teacher allowed me to enhance my understanding of the information outlined in the LDC workbook/DVD and her unwavering ability to stop me from underestimating myself establishes that she cares for the learner foremost. All the plaudits go to this great instructor and I have no qualms regarding recommending her to other learners. Thank you, Suzanne, for all your hard work. Best wishes for the future.